It demanded the release of all illegally detained Ukrainian nationals. The Ukrainian Foreign Ministry has protested against the start of the trial in Russia against Crimean Muslims who are Ukrainian nationals, including Rustem Vaitov, Ferat Sayfullayev, Yuriy Prymov and Ruslan Zeytullayev, who were illegally detained in the temporarily occupied territory of Crimea and convoyed to Russia's Rostov-on-Don. "On the background of the illegal ban on the Crimean Tatar Majlis, we view these actions of the Russian authorities as an additional evidence of political repressions systematically applied by the occupiers against our compatriots," the ministry's press service said. The details of the case that show that the trial which started in Rostov-on-Don's North Caucasian district military court on 1 June is another show trial of the illegally held Ukrainians. 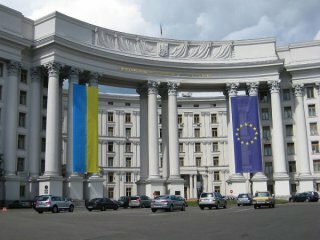 The Foreign Ministry demanded that Russia immediately stop the obvious farce and release all Ukrainian nationals illegally held in Russia. It called on the international community to step up political and diplomatic pressure on Russia to prevent the blatant violation of human rights and freedoms as a result of which dozens of Ukrainians were taken hostage.